Are you interested in understanding the transit world around you? Why not start with the latest industry updates? 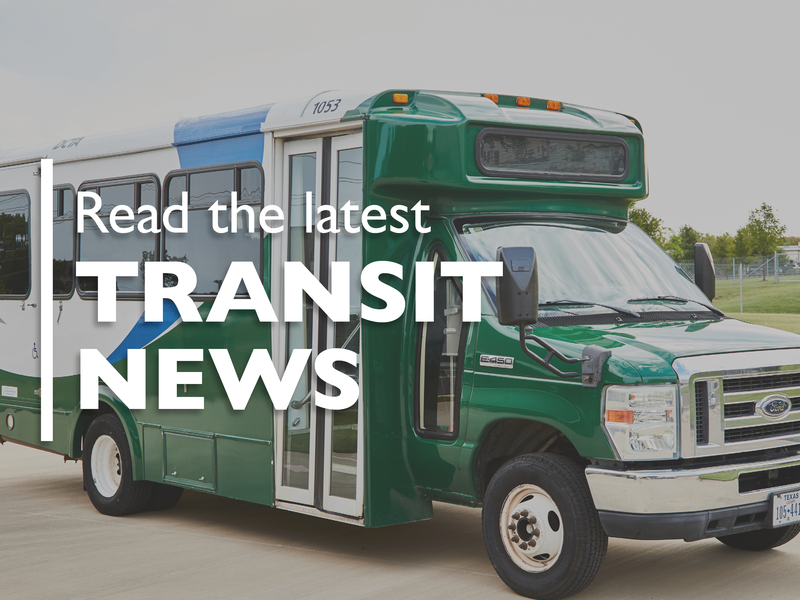 We’ve collected the most recent news in the public transit world to keep you in the loop on all things transit. From your favorite celebrities voicing announcements to gaming apps for your commute, you’d be surprised just what you’ll learn! In West Philadelphia, born and raised, on their transit is where we spent most of our days! Will Smith was voted the most to be the voice over for Southeastern Pennsylvania Transportation Authority’s (SEPTA) transportation systems announce cements for riders. SEPTA’s marketing team asked its riders who they’d like to hear on station announcements while waiting for their commute. This inquiry came after it was announced that the new voice of Vancouver’s TransLink would be actor, Seth Rogen. After 954 entries with other celebrities like actress, Tina Fey and musician, Questlove, SEPTA intends to start contacting different celebs this month to see if any would be interested for the announcements. Could you imagine hearing Will Smith on your commute with DCTA? We may not be able to book him if SEPTA does, but if you could choose which celebrity to voice over our speakers, who would you choose? Let us know in a comment section below! How many times have you had an Uber or Lyft driver follow their GPS to a location that you knew was the long way around? Can you imagine getting paid to find the smarter commute on your journey? Well, University of Maryland researchers are developing such an app called Incentrip. It’s part of a $4.5 million research project funded by the Department of Energy to be greener and ease congestion. When riders place their location into the app, they’re shown a handful of commuter options with information on the length, time and amount of fuel consumed for each mode. The app then awards riders based on how they choose to get around, and if they choose the eco-friendlier route. Even drivers can get awards choosing a greener driving route. The plan is to minimize energy use across the entire transit system by giving incentives with the rewards given: $50 gift card to Google or Apple would need 5,000 points. With so many apps DCTA collaborates and owned, it’s a wonder we didn’t think of this. We’re always keeping the eco-friendly commute in mind. DCTA is environmentally friendly and a better option than driving your car, because it helps with air quality. An average American breathes in two gallons of air per minute. Air pollution caused in traffic only proves that public transportation produces 95 percent less carbon monoxide per mile compared to personal vehicles. As part of our social responsibility, we continually invest in the health and sustainability of our community. The benefits of transit include cleaner air. In our recent Antero group study, the A-train helps mitigate polluted gases by creating an environment where residents can drive less. A household at Hebron 121 produces 1.66 fewer tons of NOx and 0.32 fewer tons of VOC per year. Smith System’s latest instructional guide is called “Driving the Five Keys: Bus & Transit.” As more than 700 million riders are choosing transit every day, the need for driver safety is just as important as other safety tools. Vehicles may be safer on the road, but accidents have gone up by 8 percent recently. It’s important for bus drivers to know to apply the right safety precautions to keep themselves, passengers, other drivers, pedestrians and cyclists safe. The Five Keys consist of driver trainer courses, a bus and transit video, an E-learning course, study guide and presentation for drivers. Those keys are quite the interesting ways to get riders attention! At DCTA, your safety is music to our ears. We want to ensure that you navigate our system safely to get to your destination. That’s top priority for us which is how we came up with our creative safety song connections for riders on our socials. Your favorite tunes are all you need to remember our safety campaign. Have a question about any of these news stories or interested in another transit topic? Comment below to share your thoughts with us!